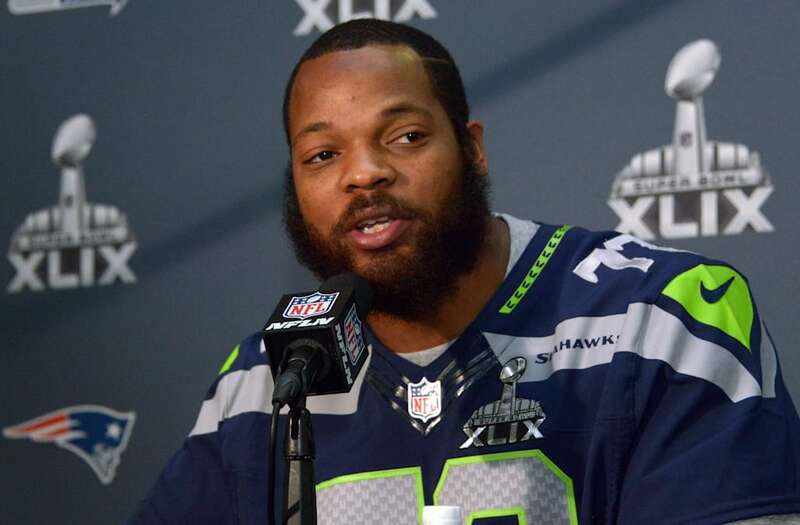 Seattle Seahawks star Michael Bennett said on Wednesday that a Las Vegas police officer threatened to blow his head off during a heated exchange following the Mayweather vs. McGregor fight on August 26. "After the fight while heading back to my hotel several hundred people heard what sounded like gun shots," Bennett wrote in a letter he posted on Twitter. "Like many of the people in the area I ran away from the sound, looking for safety. Las Vegas police officers singled me out and pointed their guns at me for doing nothing more than simply being a black man in the wrong place at the wrong time." "A police officer ordered me to get on the ground. As I laid on the ground, complying with his commands to not move, he placed a gun near my head and warned me that if I moved he would 'blow my f-----g head off.' Terrified and confused but what was taking place, a second Officer came over and forcefully jammed his knee into my back making it difficult for me to breathe. They then clinched the handcuffs on my wrist so that that my fingers went numb." The defensive end detailed the harrowing experience, saying the "excessive use of force was unbearable" and "my life flashed before my eyes." Bennett added that he has retained Oakland Civil Rights Attorney John Burris and will "explore all my legal options including filing a civil rights lawsuit for the violation of my constitutional rights." Bennett has been an outspoken supporter of Colin Kaepernick, who remains unsigned as the NFL season kicks off. Many fans and players have speculated that Kaepernick has not been signed because of his 2016 national anthem protest.